Damien Kayat takes a look at two of the biggest Round of 64 matches coming your way from the ATP Tour's Masters 1000 Series. Last season’s beaten US Open finalist Pablo Carreno Busta has enjoyed a real mixed bag this season, one in which he has yet to reach an ATP Final. He started the season reasonably enough with a run to the final 16 in Melbourne. Carreno Busta is a Spanish player who bucks the trend and revels on the harder courts. He reached the final 16 in Indian Wells before a terrific semi-final run in Miami. He then produced on clay, reaching semis in Barcelona and Estoril before a quarterfinal run in the premier Rome event. But since losing in the opening round at Wimbledon the Spaniard has endured erratic form, with perhaps a quarterfinal run in Canada his best showing. Carreno Busta will be looking to channel some of that Flushing Meadows juju from last year in this late-season push. Danil Medvedev has quietly gone about compiling a gargantuan end to his season. The Russian started the campaign in imperious style, capturing the Sydney event as an unseeded player. He reached the Rotterdam quarterfinals but otherwise largely failed to impress in the first half of the year. But the tide started to turn with the advent of the North American hard-court season. 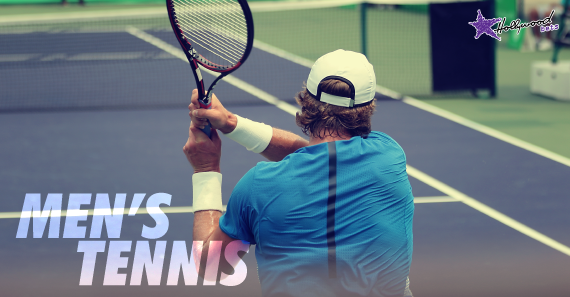 He reached the last 16 in Canada before claiming his 2nd title of the year in Winston-Salem. He reached the quarterfinals in St Petersburg before claiming his 3rd title in Japan. He pushed Roger Federer to absolute breaking point in Shanghai before back-to-back semi-finals in the Kremlin Cup and Swiss Indoors. These two have met twice before, splitting the spoils at one win apiece. The Spaniard won their last encounter in empathic fashion on the hard-courts of Indian Wells earlier this season, though it is clearly the Russian with the form at his back. All things considered however, I can’t get past Medvedev being priced at 3/10. Carreno Busta- a former Grand Slam semi-finalist on a hard surface- looks terrific value at 22/10. This Gallic affair sees 33 year-old veteran Gilles Simon take on a member of the French new wave: Lucas Pouille. Gilles Simon has actually been in decent form over the past few weeks, demonstrating the abilities that have seen him claim 14 ATP Titles. He endured a dismal start to the campaign, with only a quarterfinal at the Grand Prix Hassan II to show for his efforts. Things started to pick up slightly on clay, with a final appearance in Lyon lending great encouragement. He would go on a four match losing stretch after the French Open, though an excellent 4th Round run at Wimbledon certainly acted as a catalyst for the Frenchman. He won the title in Moselle before back-to-back quarterfinals in the European Open and Swiss Indoors. He pushed Federer to his limits in Basel and will be hoping to build on that performance against his compatriot. 24 year-old Lucas Pouille has been in exceptionally poor form after a tearaway start to his campaign. Pouille reached the final 16 here last season and will be hoping that home comforts could reinstall some confidence, he has already reached two finals this season in his homeland. During the blistering start to his campaign, Pouille reached the Open 13 Final after claiming the Open Sud de France title. He also lost the Dubai final in close proximity to those French flights of fancy, giving some indication of how upwardly mobile he was. But since then it has been a struggle, with a semi-final in Stuttgart the best he has to show. A run to the final 16 in Cincinnati included a victory over Andy Murray. Pouille will need to draw on some of that positivity this week. Simon leads the head-to-head 2-1, though Pouille claimed their last match in 2017. I have to admit that I like Pouille at 13/10. I think that form is always slightly more relative when fellow countrymen clash. Simon has enjoyed a fairly congested schedule of late and could fade against his younger opponent.